Disney's upcoming Cruella movie is reportedly eyeing Nicole Kidman to star as the antagonist. Emma Stone is on board to star as the young Cruella De Vil and production is rumored to begin as early as this summer, which would explain the latest casting rumors. Disney is on a roll with their live-action remakes and have Dumbo, Aladdin, and The Lion King all hitting theaters within the next several months. The Cruella movie with Stone and Kidman attached could be one of the biggest of the bunch. It's not clear when Cruella actually takes place, but it is believed that it will be the late 70s or 80s when the young Cruella De Vil was known as Estella. The Nicole Kidman character will reportedly be the central figure that brings forth Estella's transformation and into the character that we know from 101 Dalmatians. Kidman is reportedly at the top of the list to play this character, but the studio is also looking at Emma Thompson, Charlize Theron, Demi Moore, and Julianne Moore to possibly play the villain. A rumored synopsis has been revealed, which you can read below. "Estella (Cruella De Vil) lives on the streets of 1970's London with other hoodlums, where we learn the real origins behind Estella's hatred of Dalmatians." Back in December 2018, it was announced that I, Tonya director Craig Gillespie is directing Cruella from a rewritten script by Tony McNamara, who recently worked with Emma Stone on The Favourite. There's a lot of talent being thrown into this Disney project and Nicole Kidman could be the perfect actress to help turn Stone's Estella character into a villain. It will be interesting to see who ends up taking the part when all is said and done, but it looks like people are going to be jumping at the chance to get in on this production. The 1970s in London was a pretty interesting time and Cruella may showcase some of that. At the beginning of the 70s, it was the transition from the late 60s fashion and mod scene to the late 70s when punk and disco were taking over, clashing in the streets. There have been rumors of a punk rock setting, but that has yet to be officially confirmed and may have been taken out of the original script, which is now being rewritten. There currently is not release date set for Cruella, but that will all change if production does actually start this summer. If that is the case, one could easily imagine a summer 2020 release date by the end of the year. We'll have a better idea when the Disney project starts production. Hopefully some more official news from Disney comes down the wire sooner than later. For now, they have three live-action remakes to finish and promote. 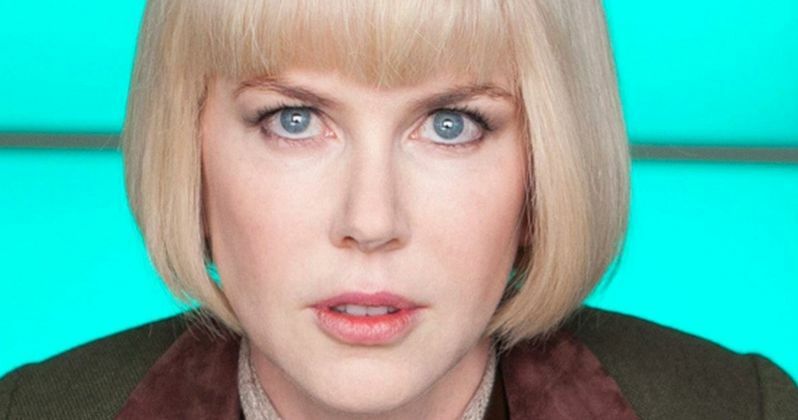 The Nicole Kidman Cruella casting information comes to us from That Hashtag Show.